We go to the ring and Tom is with JBL and David Otunga. 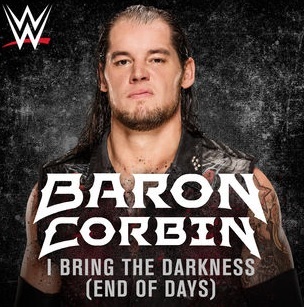 Baron Corbin is out first. WWE Intercontinental Champion Dean Ambrose is out next to a pop. The bell rings and Corbin goes right to work on Ambrose. Ambrose sends Corbin to the floor and nails a dive early on. Ambrose takes Corbin from barrier to barrier and beats him back into the ring. Ambrose goes for the bulldog but Corbin sends him into the ring post back-first. Corbin follows up with boots. Corbin with more boots sending Ambrose into the ring post. Corbin stands tall and plays to the crowd. Corbin keeps control until Ambrose nails a boot. Corbin cuts the comeback off with a chokeslam for a 2 count. They end up on the floor again. Corbin sends Ambrose hard into the barrier. Corbin brings it back into the ring. Ambrose counters and goes for Dirty Deeds but it’s blocked. Corbin keeps control until Ambrose manages to send him into the post. Ambrose goes on but Corbin catches him in mid-air and covers for a 2 count. Corbin tries for a superplex but Ambrose fights him. Ambrose knocks Corbin to the mat. Ambrose jumps but lands on his feet. Corbin blocks Dirty Deeds but Ambrose dumps him over the top rope. Ambrose launches himself over the top but Corbin catches him in mid-air again. Corbin charges but Ambrose moves and Corbin crashes into the steel steps. Ambrose goes back to the top and nails a big elbow drop to the floor. They come back in and Ambrose unloads with strikes. Ambrose runs into an elbow. Corbin counters and hits a neckbreaker for a 2 count. More counters between the two. Corbin hits a Deep Six for a 2 count. Corbin mounts Ambrose. Ambrose ends up hitting the rebound clothesline. 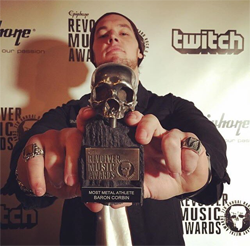 Corbin blocks Dirty Deeds again. Corbin slams Ambrose for a 2 count. Corbin yells in frustration now. Corbin talks trash about taking the title and nails Ambrose in the face. Ambrose counters End of Days and drops Corbin with Dirty Deeds for the win.